I am here to show you my submissions to Talias family in support of Talia's legacy and all they do. 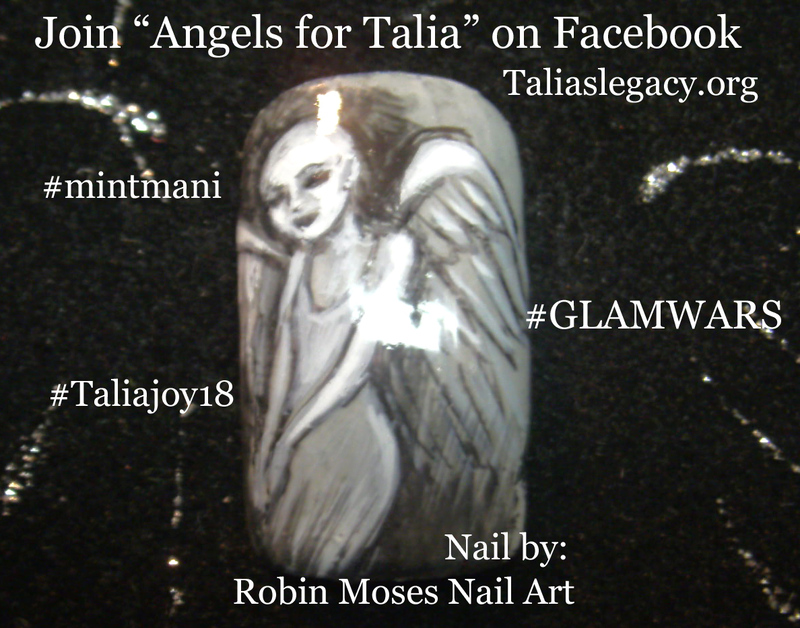 You can join in and create your own mint mani and tag it with #Mintmani #Taliasmintmani #GLAMWARS #Taliaslegacy @taliajoy18 #taliaslegacy in support of children with cancer, to bring awareness to our community and support art and the joy of painting in the darkest of times. In these times, painting helps get us through and donating your time, your art, supplies, anything..........helps. 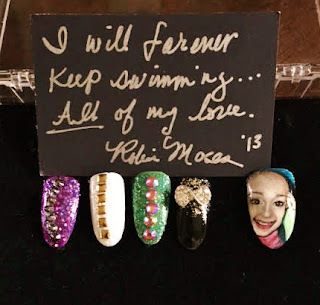 It is the little things that help and I am happy to help such a wonderful and supportive family who does so much for this world in the darkest of places. Thank you to everyone in Talias family and her friends for all you do. 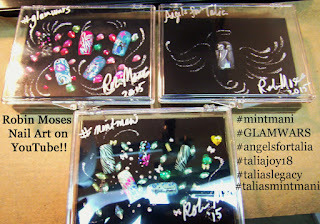 To all of my viewers who are battling cancer or have children who are....I am sending you all of my love and in support, make your mani MINT!!!! 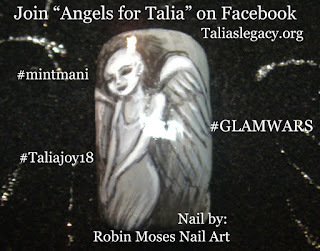 Share it on talias facebook page "Angels for Talia" and taliaslegacy.org and keep updated! For updates on my brushes and other projects, visit robinmoses.com and get updated!